We've come to the end of another busy year. 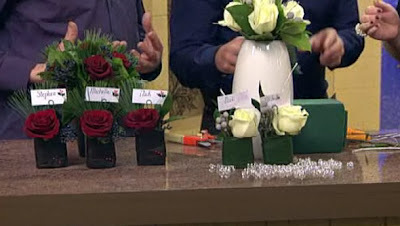 The last few weeks have been hectic with all our Christmas weddings, Flower School classes and hand tied gift bouquets. 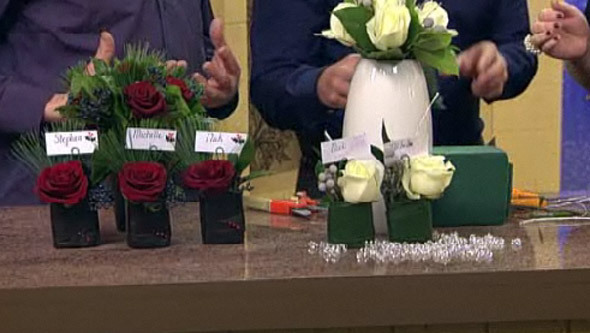 Nick even found some time to pop back into STV's the Hour on the 13th December and showed Stephen and Michelle how to make floral place cardholders - perfect for Christmas but great for the rest of the year too. We'd like to thank all our customers and look forward to working with you all again in 2011. We have so much in store with lots of new developments at Mood Flowers.